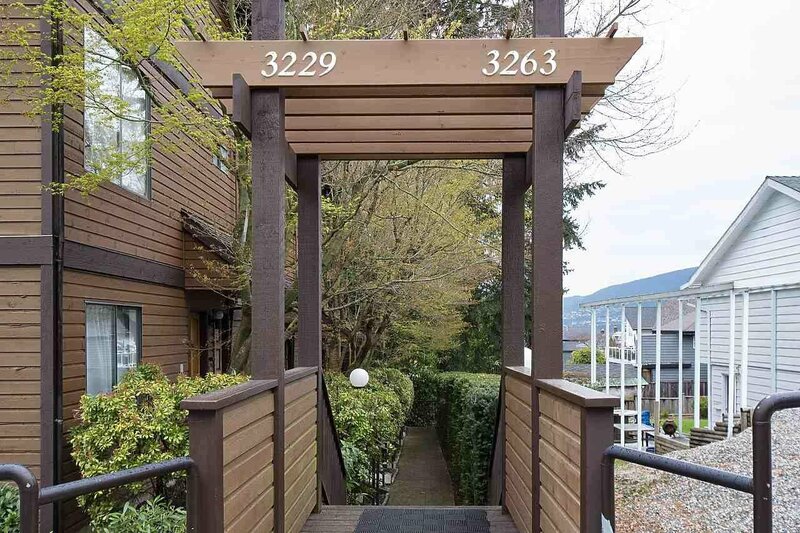 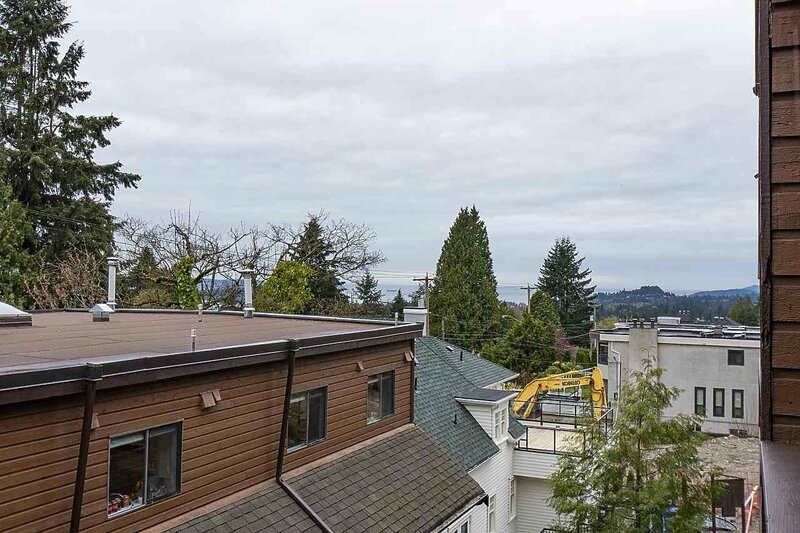 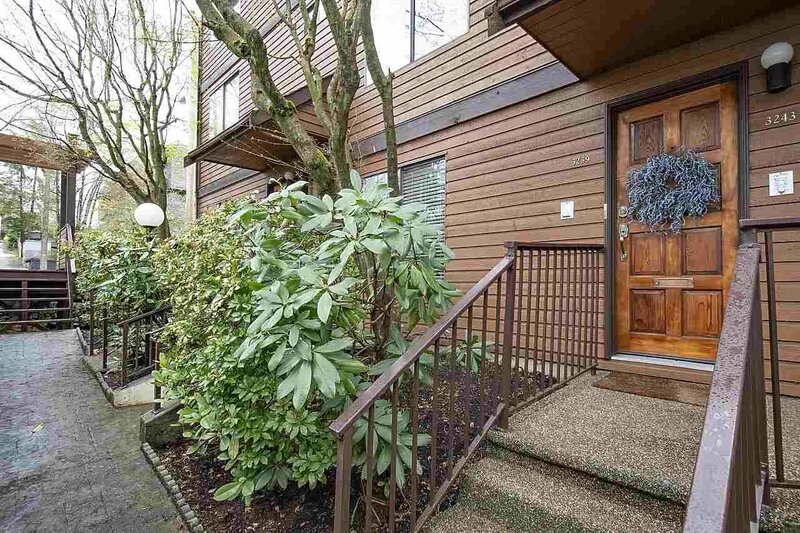 Welcome to this unique two level townhome in a small 12 unit strata in a fantastic Upper Lonsdale location. 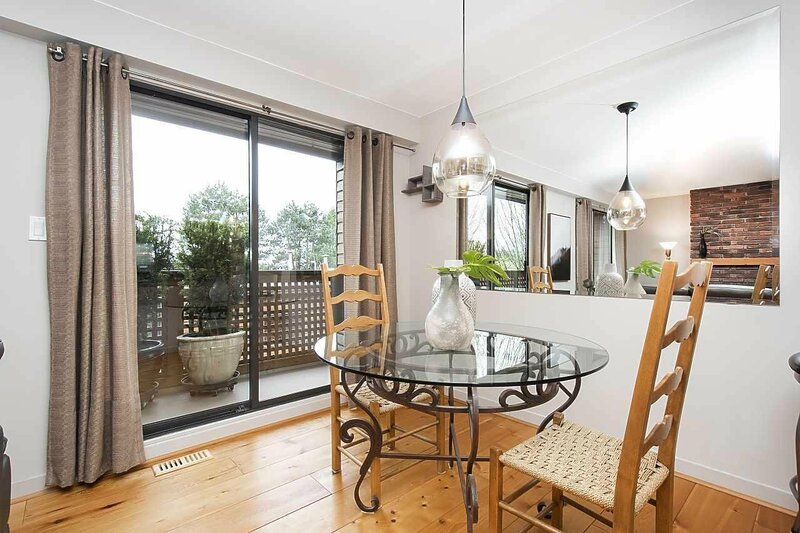 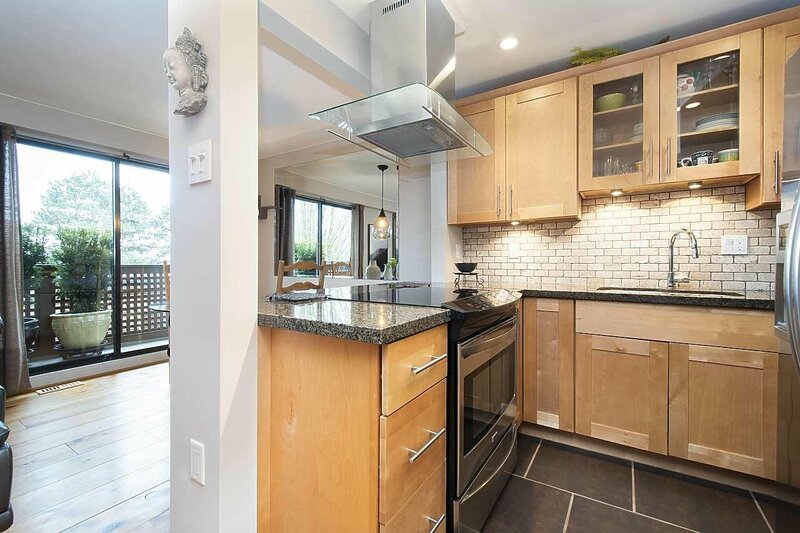 This well appointed south facing home has a reverse plan with the kitchen, living and dining up and the bedrooms and bath down. 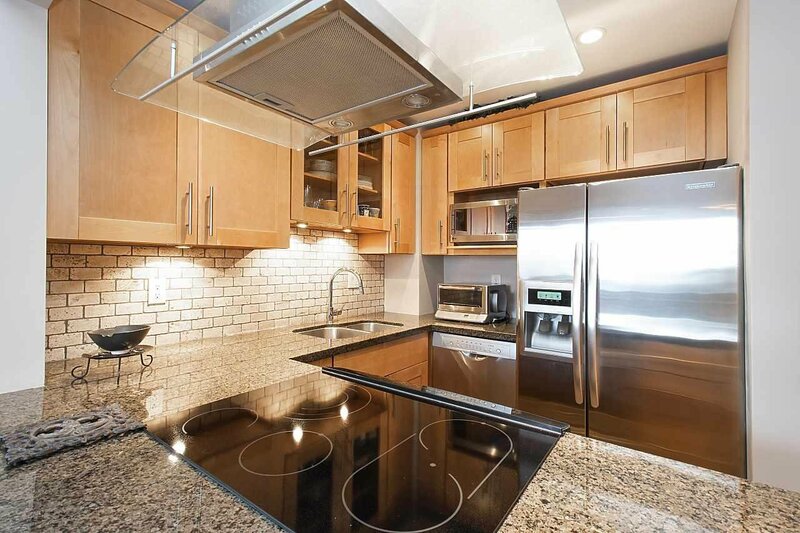 The open kitchen has been tastefully updated and features stone counters, stainless steel appliances and shaker cabinets. 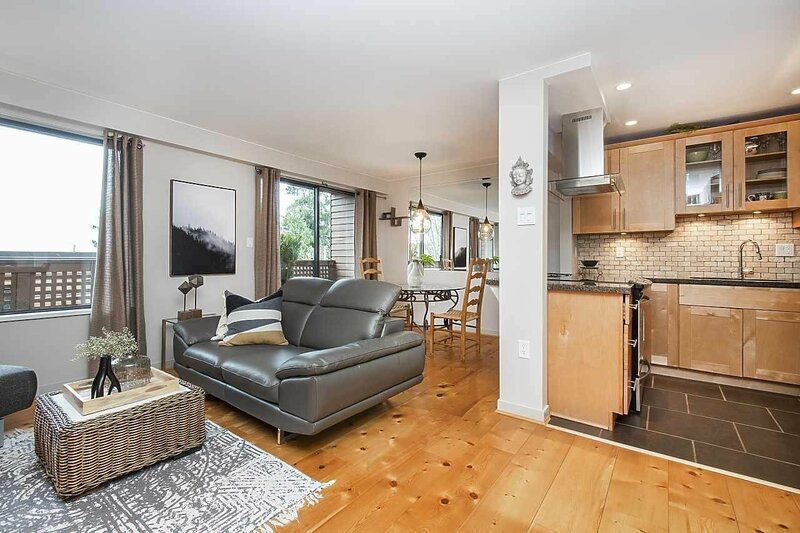 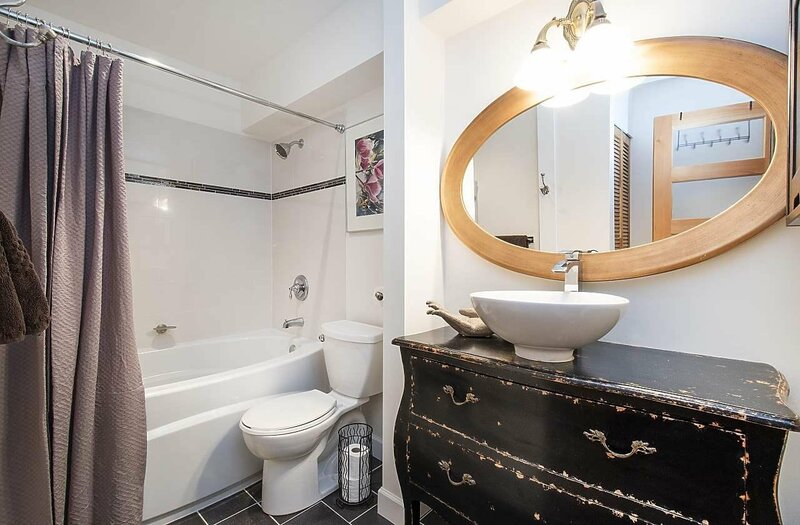 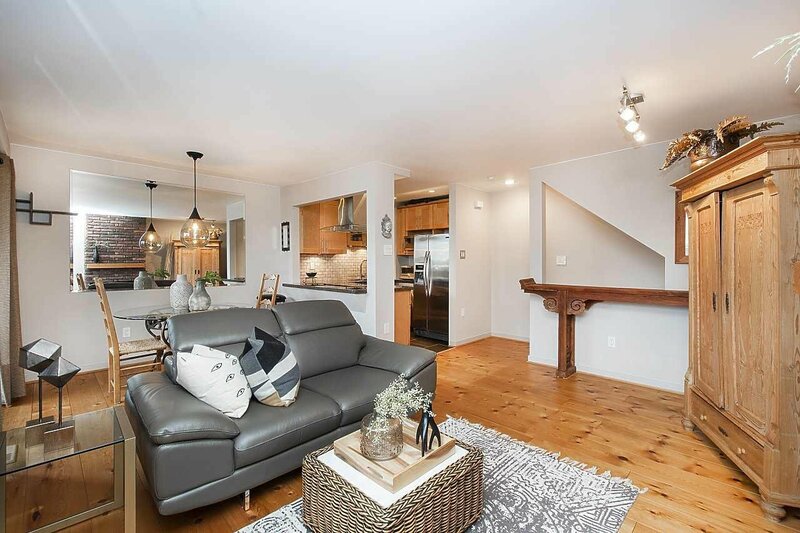 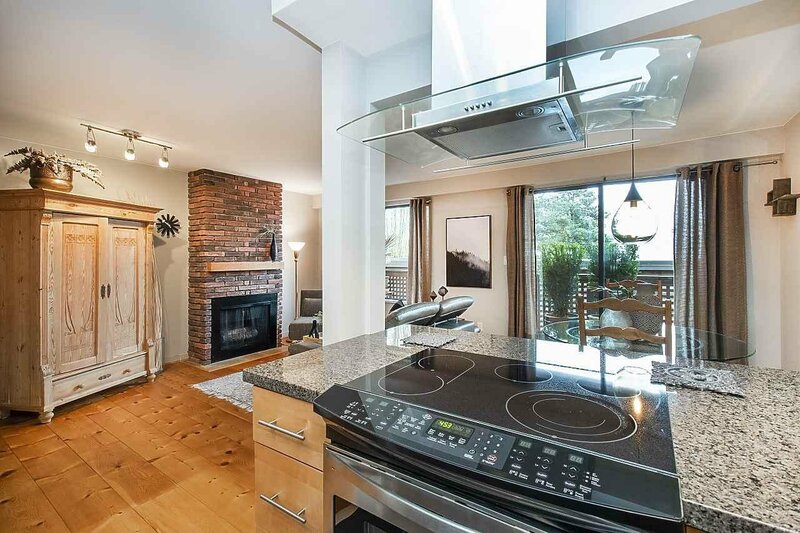 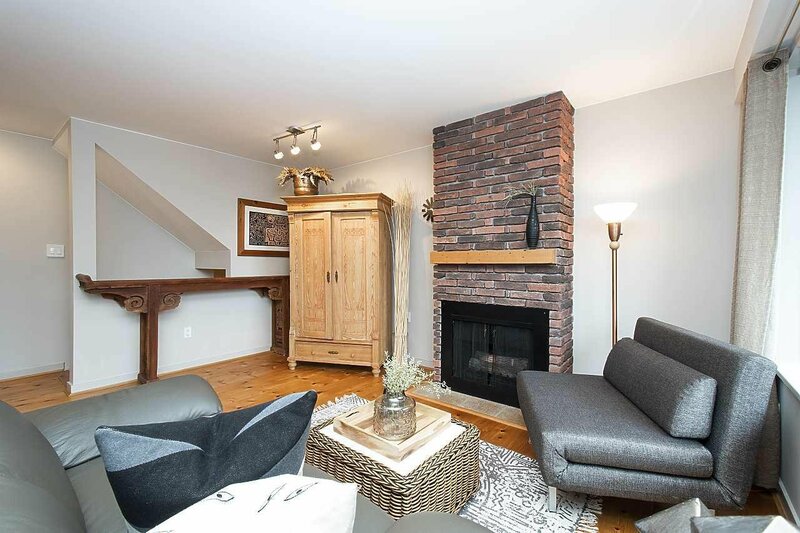 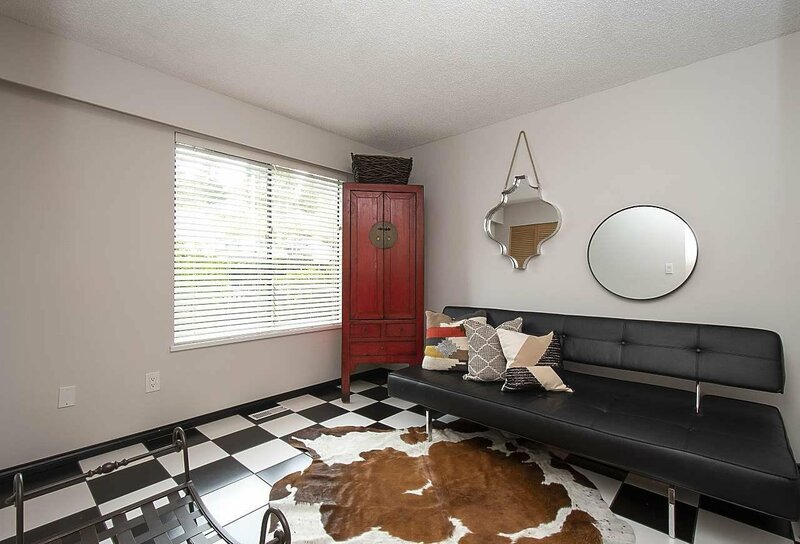 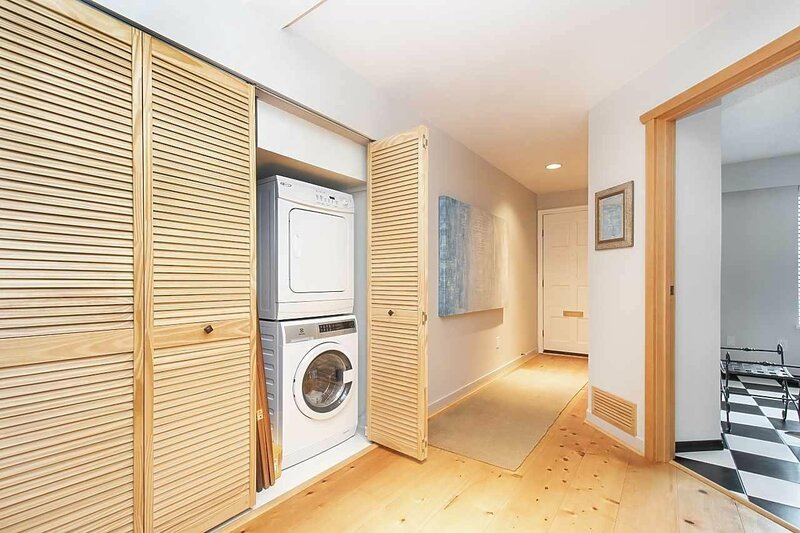 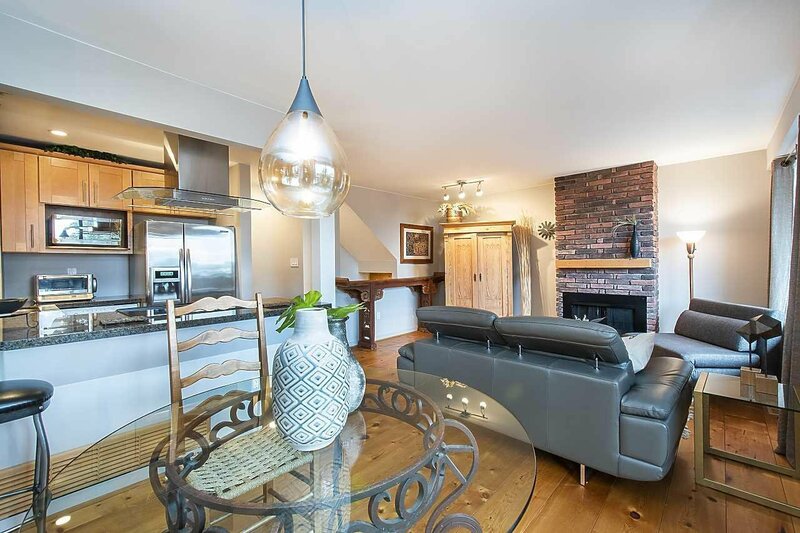 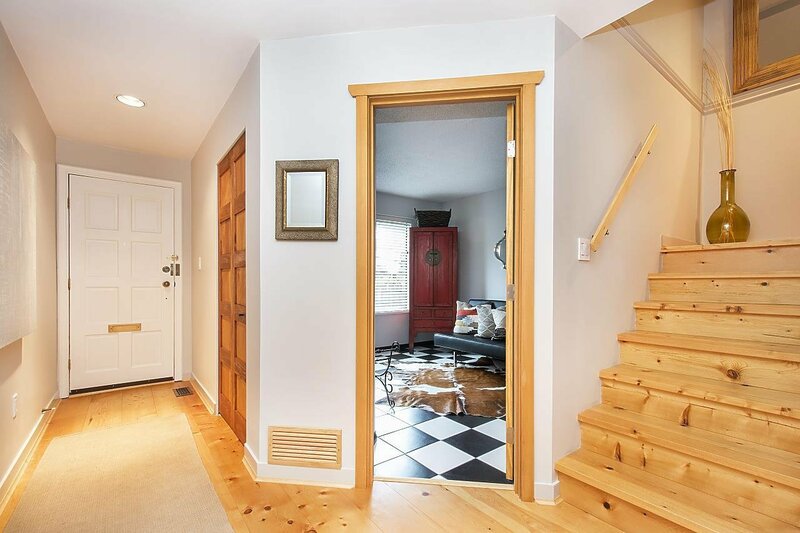 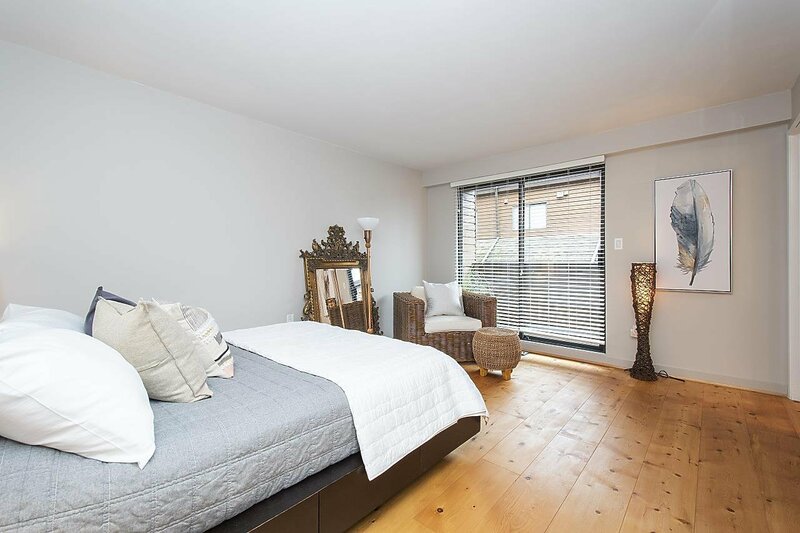 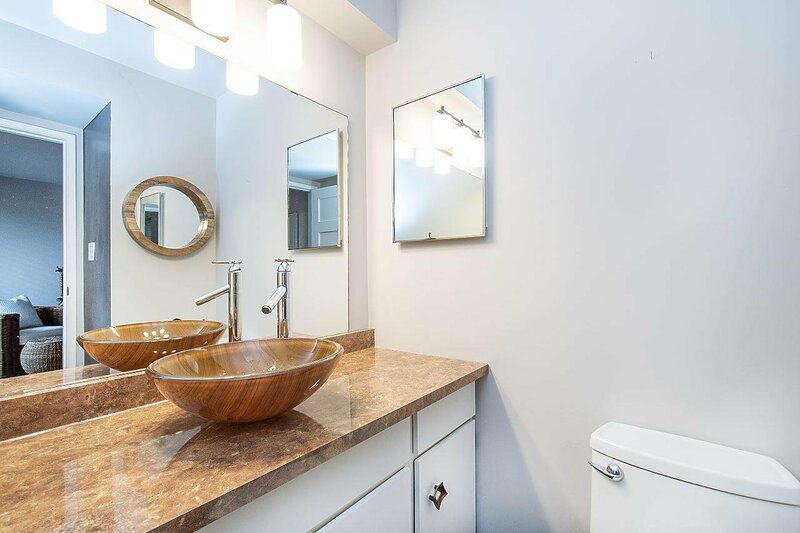 Additional highlights include solid pine floors, updated bathrooms with sleek tiles, new lighting and fixtures, insuite laundry, cozy gas fireplace, two balconies and a large heated storage locker. 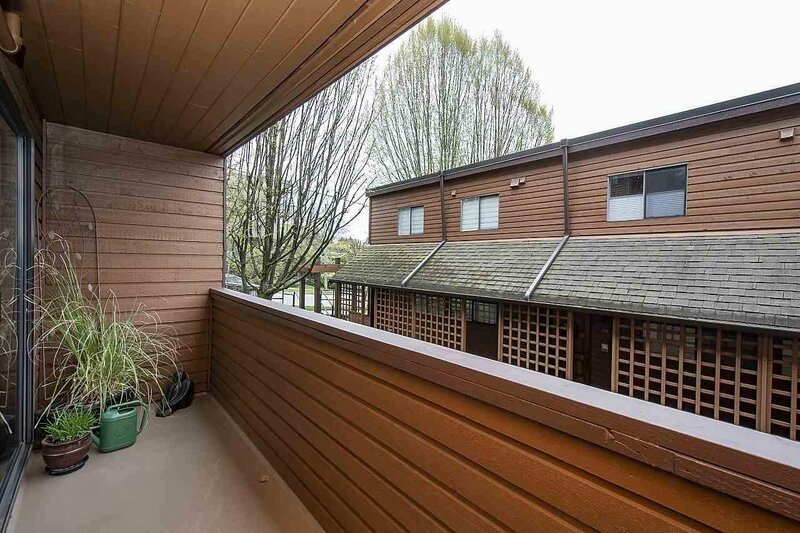 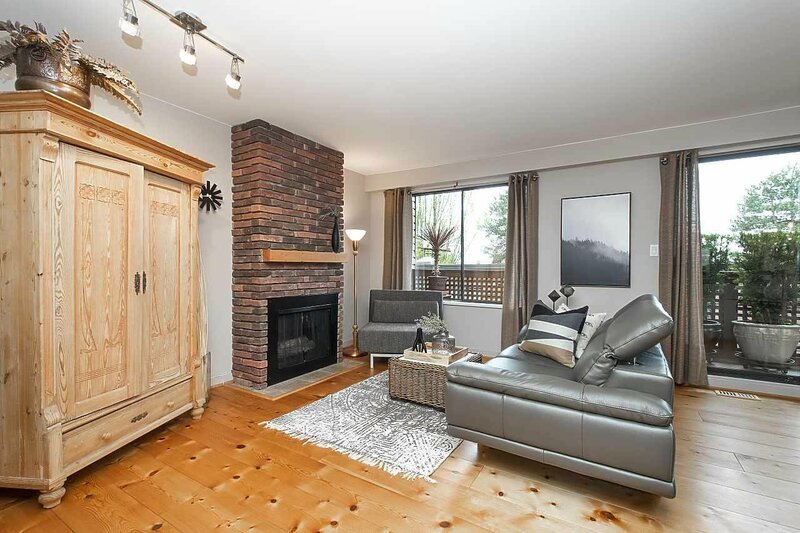 Tucked off Lonsdale and walking distance to parks, trails, walking distance to Carisbrooke and Braemar schools, Starbucks, Queensdale market, and steps to transit.